The logo for the marathon. 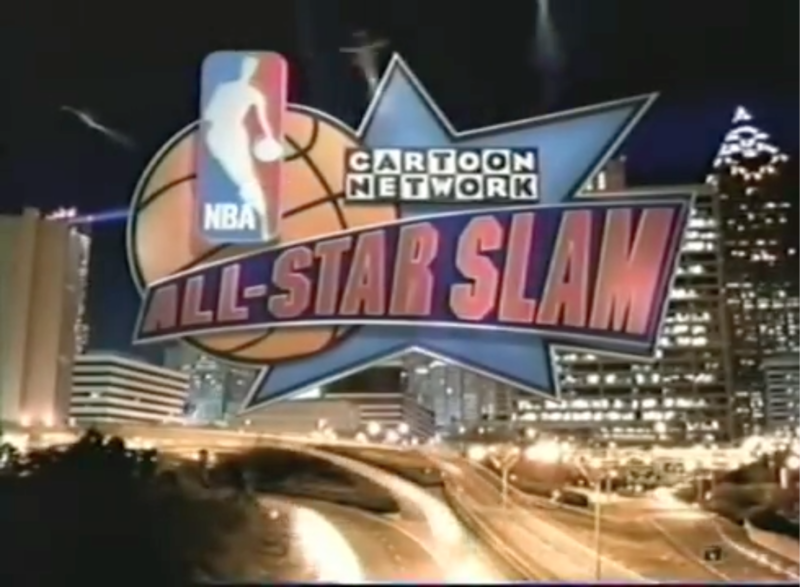 On February 9th, 2003, Cartoon Network aired the NBA All-Star Slam marathon from 12:00 - 6:00 PM, which also featured thirteen interviews with NBA players telling the viewers about their favorite CN characters, and introduce some of the best cartoons featuring those characters that aired throughout the marathon, all leading up to the tip-off of the 2003 NBA all-star game on its sister network, TNT. So far, 5 out of the 13 listed interviews have currently been resurfaced; four of which were found by Captain B. Z. (including a full version of the Godzilla interview), as well as the Bugs Bunny interview, uploaded by C. Martin Croker (A.K.A. the voice of Zorak/Moltar from SGC2C/The Brak Show). Shawn Marion and Cheetara Found Found By: Captain B. Z.
Shaquille O’Neal and Godzilla Found Found By: Captain B. Z.
Theo Ratliff and Hong Kong Phooey Found Found By: Captain B. Z.
Jason Kidd and Jayna (Wonder Twins) Found Found By: Captain B. 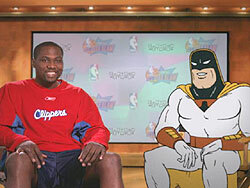 Z.
Elton Brand and Space Ghost. 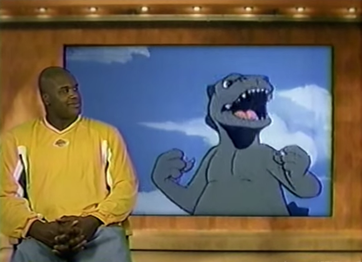 The incomplete interview with Shaquille O’Neal and Godzilla. 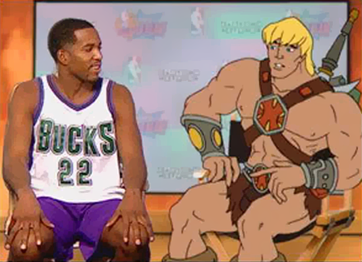 The complete interview with Stephon Marbury and Bugs Bunny.